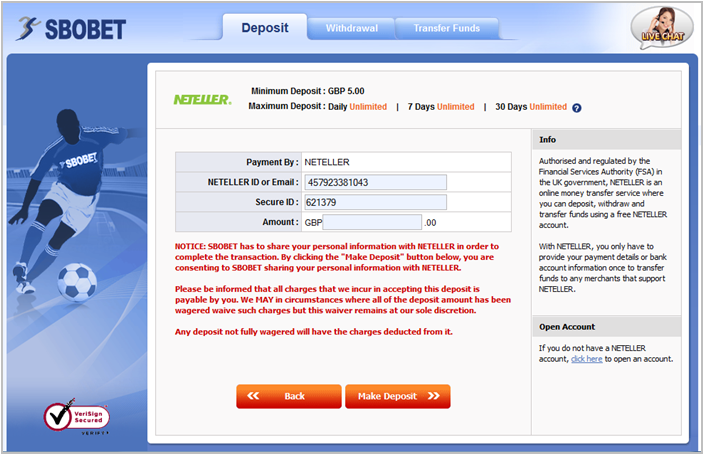 How do I deposit funds into my account using NETELLER? 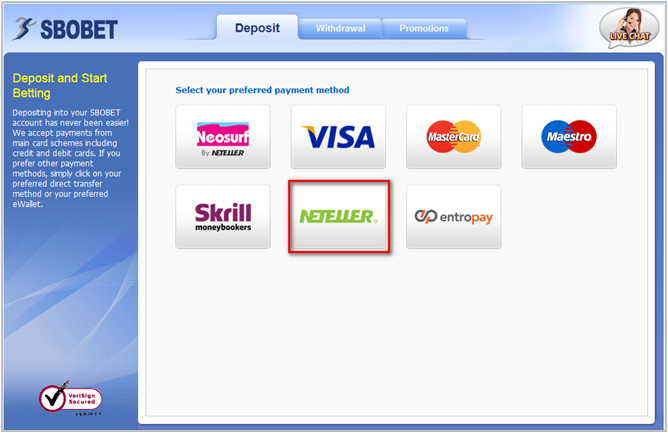 Paying with NETELLER is fast and easy. 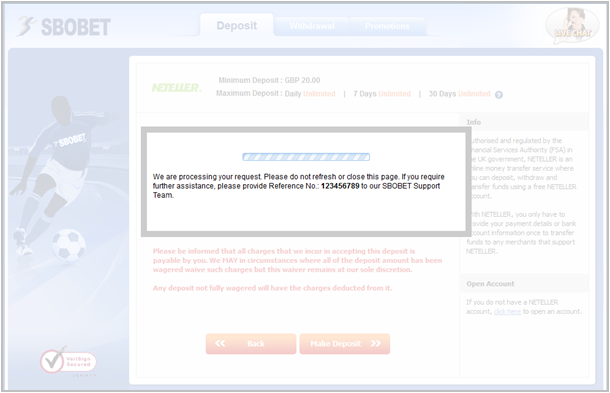 First, check if NETELLER supports the currency of your SBOBET account and your country of residence. Next, follow the steps below to register for a new NETELLER account or use your NETELLER ID right away if you already own an existing NETELLER account. Click on Deposit & Withdrawal after signing in. Select NETELLER as your payment method. 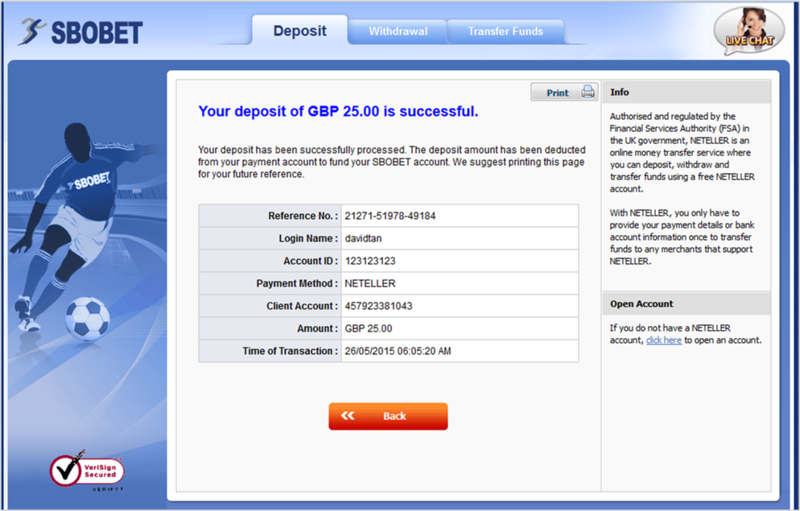 Click on the link under Open Account to go to NETELLER’s registration page. Fill in the required fields to complete registration. Upon completion, you will receive your NETELLER Account ID and unique Secure ID. A confirmation email will also be sent to your email address provided during registration. You will be prompted to Allow Access with NETELLER, which will require you to sign in to your NETELLER account to proceed. Enter your NETELLER Email or Account ID and your corresponding password in the respective fields. 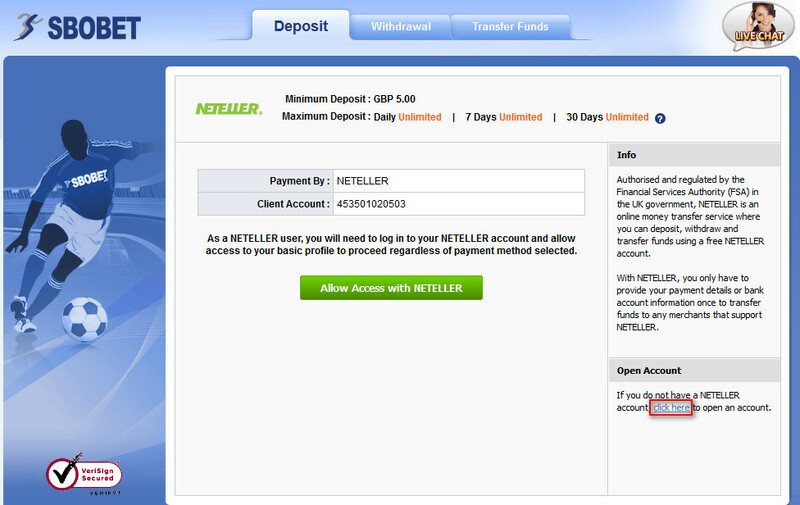 Then click Allow once you are successfully logged into your NETELLER account. You will be directed back to the Deposit page to enter the amount you would like to deposit. Enter the amount you would like to deposit. Wait while the system processes your request. Do not refresh or close the page until this process is completed. You have successfully deposited the funds into your account.